Amanda came to Forge in September 2011. Although she didn’t have experience in the industrial /manufacturing sectors, her positive attitude, desire to learn and strong work ethic shined bright. Amanda heard good things about Forge Industrial Staffing through friends and decided to apply. Her past work experience included farm work, prep cooking, and assisting a veterinarian as a technician. After applying with Forge, Amanda was quickly placed on an assignment, working as a Quality Inspector after passing a client interview and screening. The shifts at this company ran 12 hours with lots of overtime involved. She appreciated Forge’s encouragement along the way and after 6 months, received a promotion to Team Leader which included a pay raise. Amanda held this position for a month and was soon hired into the company. Upon hire in, she was promoted to her current position of Project Manager, leaving her in charge of several job site locations the company services. Amanda appreciates the opportunity Forge afforded her by helping her get her foot in the door with a prominent company. Through hard work, dedication, being organized and taking the time to do things correctly, she established a rewarding career. Eric worked in the food/service sectors for most of his working life. Unhappy with his forward progress, Eric came to Forge Industrial Staffing in May, 2011 for a chance at a new start. Eric was impressed with the many opportunities Forge had available and how quickly Forge went to work for him, finding him a position. The staff was friendly, helpful and made the process easy for him to begin his new career. Eric was excited about having a “real job” where he could continue learning and growing. His job position responsibilities increased and Eric was eventually hired in by the company in October 2011. Since being hired in, Eric has been promoted to Lead Machine Operator and ultimately, Inventory Control Manager. 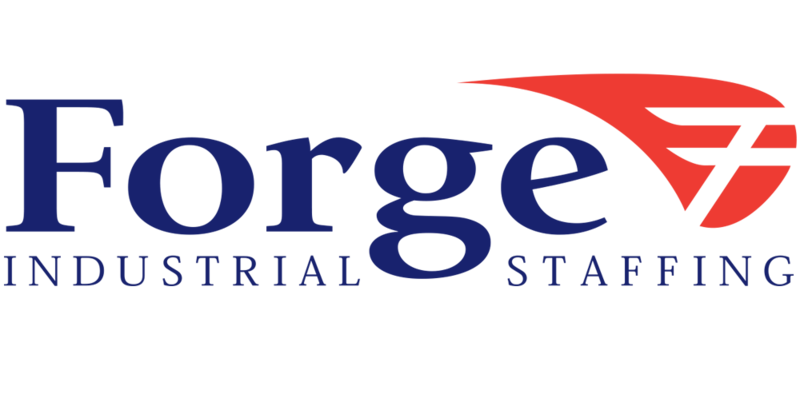 Eric is glad he made the decision to apply with Forge Industrial Staffing. He says that being able to continuously improve in life is a great feeling and he strives to continue moving up with his employer. Eric says he found what he was looking for, which is the opportunity to discover his full potential. Fast paced friendly jobs they give you!! I love the fact that they give you hours that works around your schedule. But overall Forge is a great temp service to work for. Very professional, friendly staff. They have helped me find jobs that fit my experience and work around my schedule. As a disabled veteran, I’ve gone months without being able to find a job, and they were able to get me placed within a week. Great company always has jobs takes care of their employees very well. They have wide variety of jobs. Good place for temporary work or temp to hire. Forge is a great starting point for anyone looking to start out somewhere. They will find you a job fast. All you have to do is call up there and tell them you are looking for work. After a short informative video, you will be eligible for work. I have enjoyed my time at Forge as they have consistently provided me with a work experience that was fulfilling and progressive. I was taught skills that have become very valuable within my line of work including: how to operate machinery such as forklifts, clamp trucks and stand up pickers. I learned great skills on how to properly work within a group of individuals working on the same project in the most effective way possible. Coordinating a chain of command and executing the planned task within the desired time frame and was highly successful and respected within our department of shipping and receiving. I love forge and the compassion they have for their workers. It’s not just a agency it’s more like a family, they make sure you’re safe comfortable have long term work and update you with better opportunities as it arises.